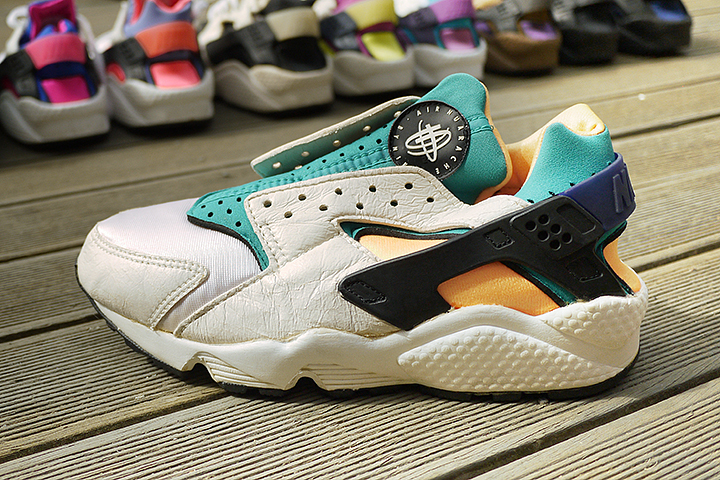 Designed by Tinker Hatfield and originally released in 1991, the Huarache was named after a Native American sandal. Tinker had a love for water skiing and took the idea of the tight fitting neoprene from his wet suits. It was the first Nike shoe to not feature the swoosh logo on the upper, and almost didn’t make it to production. So the story goes … Nike weren’t going to bring the model to market, until some maverick guy at Nike ordered a test run of 5,000 units and sold them at the New York City Marathon. They were an instant sell out and Nike ordered a full production run the following year. 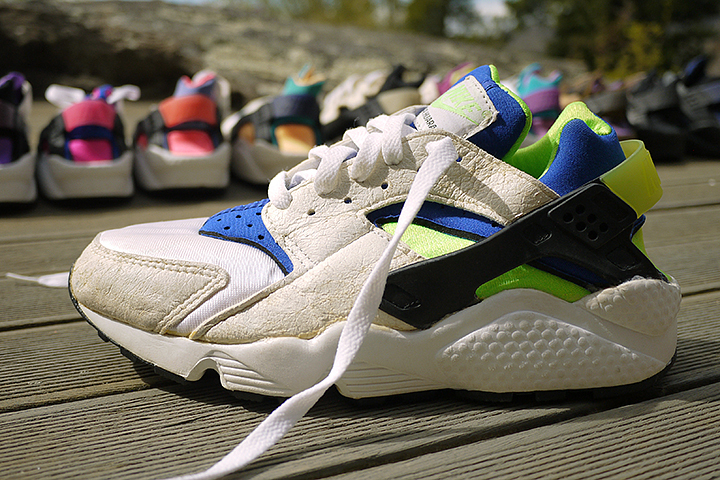 Arguably the most iconic and most popular of all of the Huarache colourways. A white upper with a blue and green sock liner and a traditional black strap. Originally released in 1991 and then retroed 8 years later in 1999. 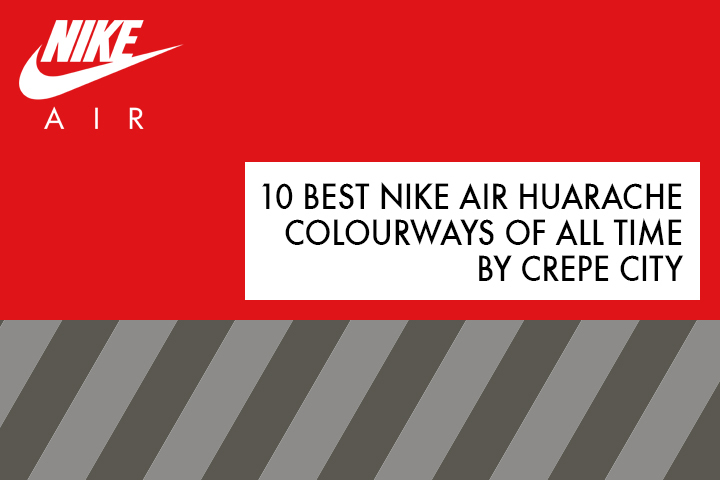 Fans then had to wait until 2014 for the colour way to resurface. 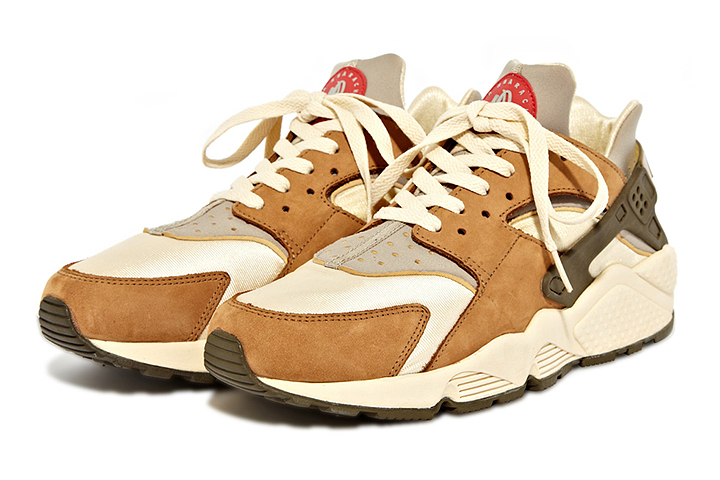 Easily one of the favourite colourways amongst the Crepe City team. One of the original colourways released in 1991, made even more notorious by the fact that Nike never retroed the shoe, and by the photos of Michael Jordan laid back in the cut, wearing Purple Punches whilst celebrating Chicago Bulls’ successful defence of the NBA Championship in 1992. 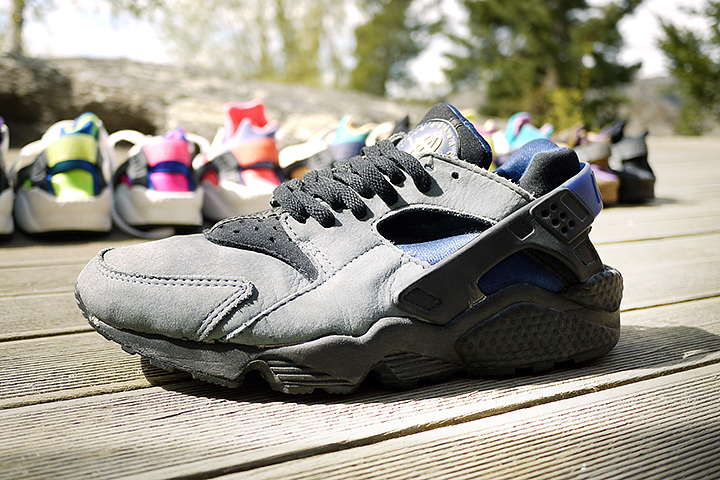 One of the 3 Foot Locker exclusive “Limited Edition” colourways launched in 1992. A beautiful slate coloured suede upper matched with a navy and black sock liner. The quality of materials, the stunning leather “Limited Edition” hang tag and the sheer age of this shoe make this a really sought after pair. Another of the 3 Foot Locker exclusive “Limited Edition” pairs and probably the least commonly seen pair from the collection. 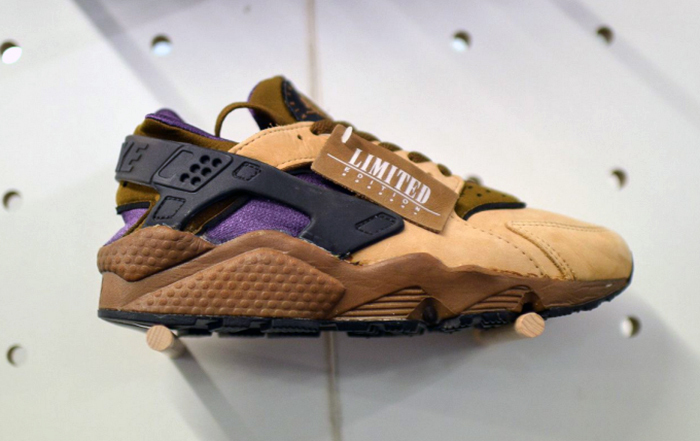 A beautiful creamy brown upper with purple hints that are reminiscent of the Mowabb colour way One of the most stunning pairs ever made. The third part of the “Limited Edition” trilogy. 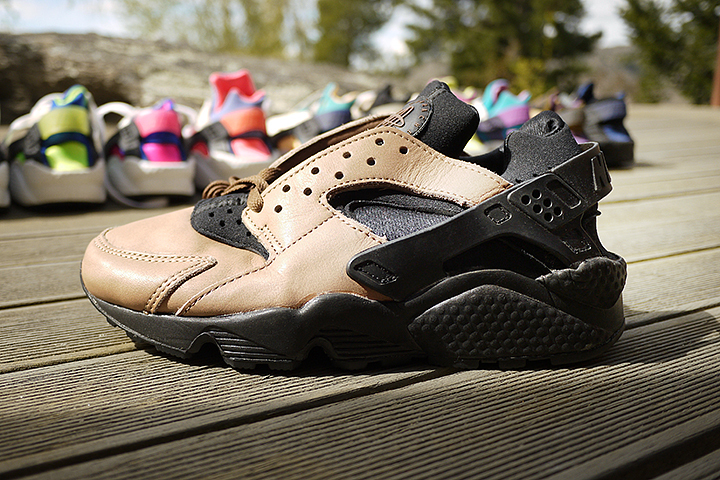 High quality leather and a dope discreet brown colourway. A real change from the classic colourways which were made on a white base with a coloured sock liner. A true classic. 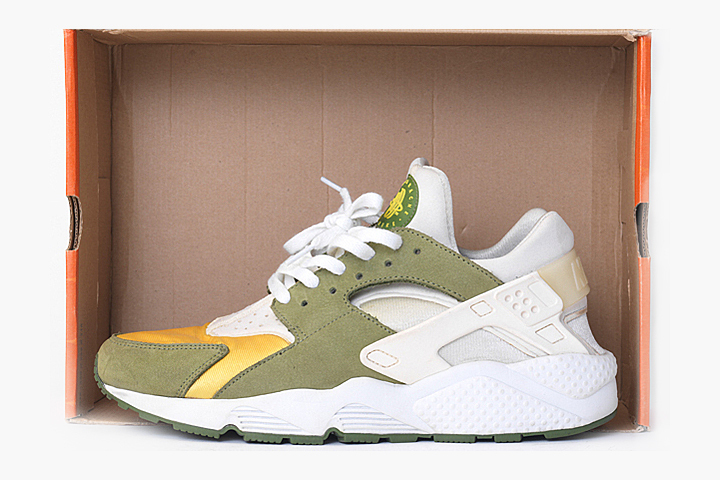 Released in 1992, One of the original release colours, nobody can argue with the white upper with a green and yellow sock liner. Made even more iconic as we watched an injured and distraught Derek Redmond completing his 400m race at the 1992 Olympics supported by his father who was wearing the Nike “Have You Hugged Your Feet Today” T shirt with a picture of this pair splashed across the front. 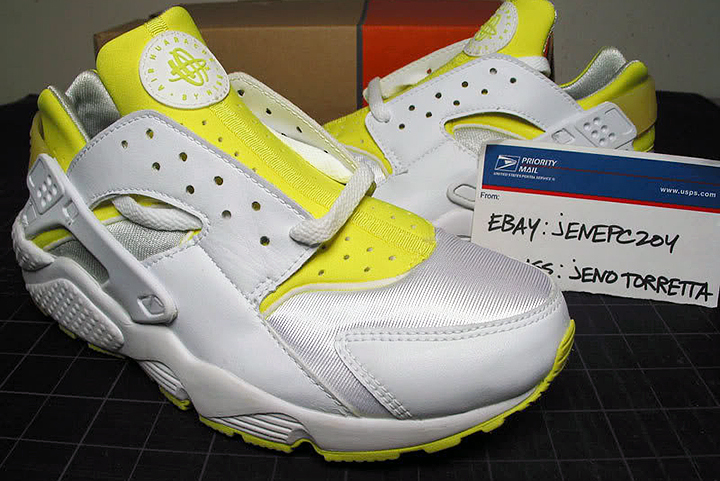 These, along with the woman’s dynamic pink version were retroed in early 2013 and kicked off the phenomenal Huarache resurgence. Whilst not actually the first collab Nike ever released, these were the most powerful pairs, bringing in a new era into sneaker collecting. To top it off the shoes themselves were stunning. One being the discreet “Desert Oak” colour way with beautiful brown autumnal tones, the other being the lairy eye-popping Dark Olive colour way with a stunning maize toe box. Whilst both pairs sat around in store for a few days when they dropped, now they are easily two of the most sought after collaboration sneakers in the world. One of my personal favourites. Taking inspiration from the OG colour ways from 1991, then matching it with a electro yellow Volt colour way Truly a stunning shoe. 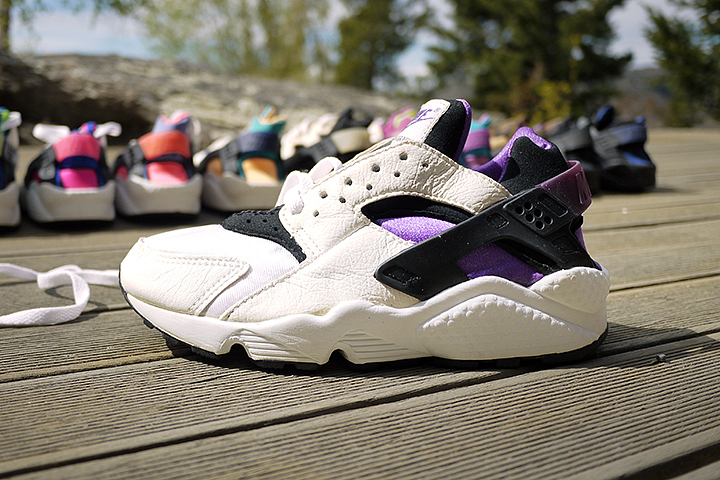 Made even harder to find as the 2004 retro was only produced in ladies sizes. If you’re gonna go for the triple black colourway, this is the way to do it. 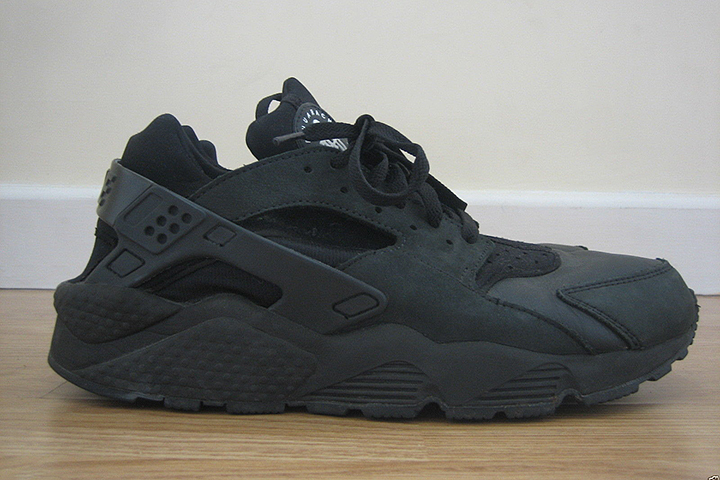 Forget the mass produced 2013 and 2014 triple black “Hurricanes” dropped in every shop across the world. It is all about the leather pairs from 2004. Taking inspiration from the legendary Tinker Hatfield designed Nike Air Mowabb from the ACG range, this colourway is beautiful. 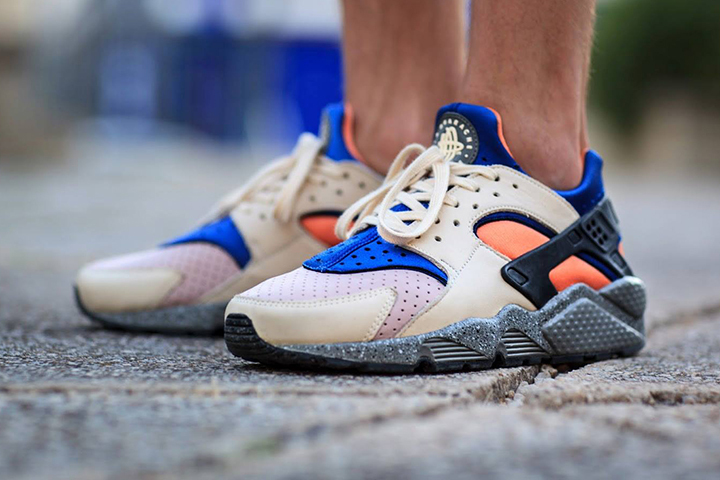 Despite the controversial use of a perforated leather toe box instead of the usual mesh, this pair is arguably the last of the classic Huarache colourways.